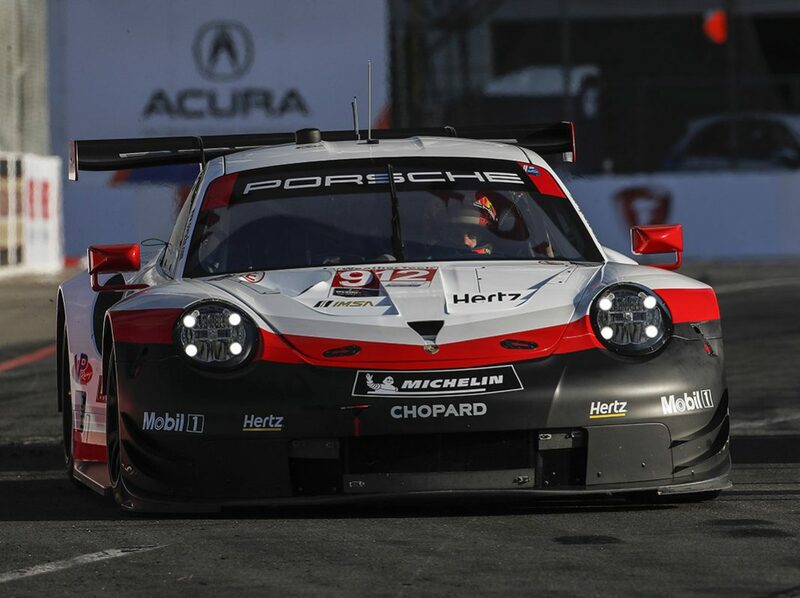 LONG BEACH, Calif. – Porsche’s stellar start to the IMSA WeatherTech SportsCar Championship season continued Saturday afternoon at the BUBBA burger Sports Car Grand Prix. The No. 912 Porsche 911 RSR of Earl Bamber and Laurens Vanthoor took the checkered flag at the end of a chaotic 100-minute sprint race one day after the team’s sister car, the No. 911 Porsche of Nick Tandy, scored the GT Le Mans pole at the iconic Long Beach street course. On the race’s final lap, Mueller’s car stumbled coming out of turn eight and was turned into the wall by the No. 3 Corvette of Jan Magnussen and ultimately finished fourth.